The Museum of the Royal Canadian Military Institute will be holding its Second Annual Military History Symposium in Toronto on November 3rd. 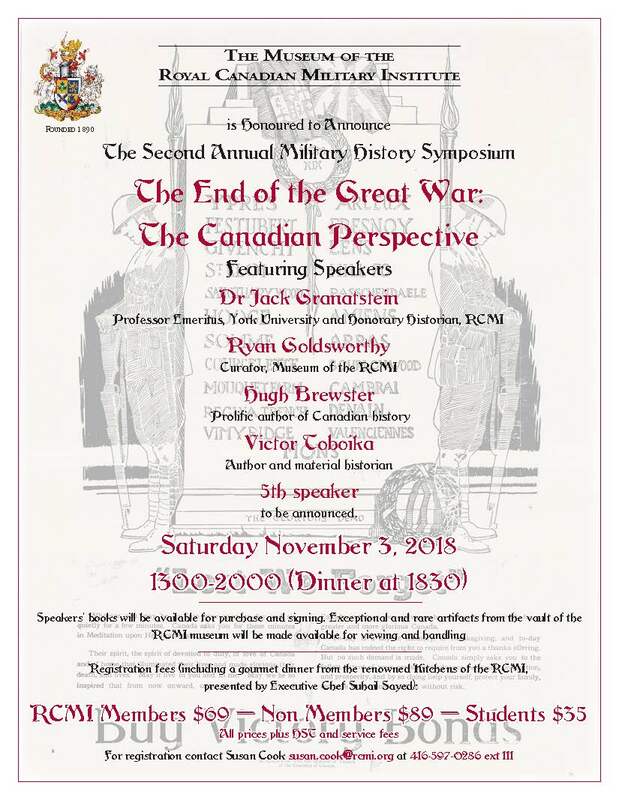 This year’s theme is “The End of the Great War: The Canadian Perspective.” Guest speakers include Jack Granatstein, Ryan Goldsworthy, Hugh Brewster and Victor Toboika. See the poster below for further details and information on how to register.